The legal team for Philadelphia rapper Meek Mill, currently in prison for parole violations stemming from a 2007 arrest, is seeking his release—because the police officer who originally testified against Mill was named in a secret list of “suspect” cops kept by the Philadelphia District Attorney’s office. The list, which was revealed by The Philadelphia Inquirer on Tuesday, contained the names of officers with “a history of lying, racial bias, or brutality,” that meant, in the eyes of the DA’s office, they could not be trusted to testify in court. (This phenomenon is called “testilying,” and it’s a nation-wide problem, not just in Philly.) 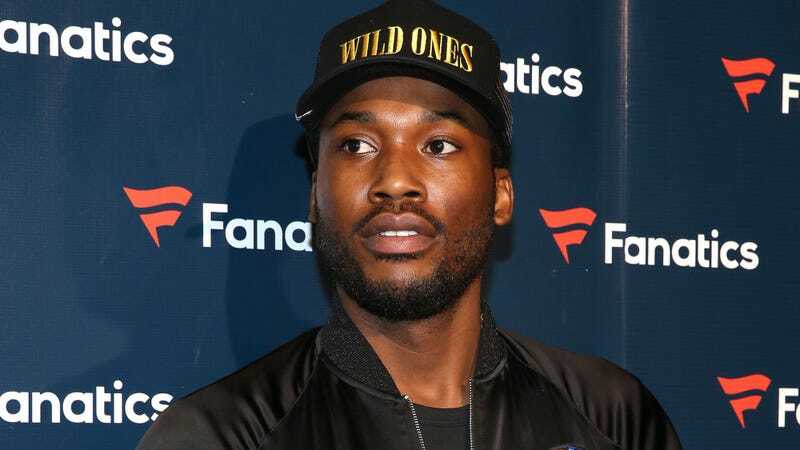 That is big news for Mill’s team, as officer Reginald Graham, whose name appeared on the list, was the sole witness against Meek Mill—born Robert Michael—at the rapper’s 2008 trial. Mill’s legal team has asked that the rapper be released and given a new trial, and also submitted statements from two other Philly police officers, who previously worked with Graham, as reported by the Inquirer. One of them, Jerold Gibson, was present when Mill was arrested in 2007 on gun possession and drug dealing charges and says Graham lied about several things in his testimony. Mill did not ask “Who are you?” when he approached the police. Mill never pointed a gun at Graham or anyone else. Mill did take a gun out of his waistband and tossed it a few feet away from him. No officers had to yell “Drop the gun” at Mill. Graham did not have to hide behind a van. Mill did not try to flee the scene, and police officers did not tackle him as he tried to flee. The second sworn affidavit, from officer Jeffrey Walker, “strongly corroborates” Gibson’s, according to the petition filed by Mill’s legal team. Hopefully this marks one giant step forward in the fight to free Meek Mill. We will continue to update this story as it develops.